Mount Vernon United Tenants (MVUT) remains busy on a wide variety of fronts! This past Tuesday, March 19, a number of MVUT Board Members attended a special meeting organized by the City‘s Dept. of Planning & Community Development (PCD) on “Code Enforcement” and Quality of Life”. PCD is going to contract with MVUT on various aspects of this campaign. This is a long overdue project. We have an aging housing stock and much of it is being overutilized. We have to insure the safety and integrity of our housing, while at the same time protecting tenants who may live in substandard housing. Once again, MVUT organized the Westchester bus for the six (6) groups that get state funding under the Neighborhood Preservation Program (NPP). We had a very successful Lobby Day on March 6, meeting with representatives of all of the Westchester delegation, all of whom were supportive. As proof of our effectiveness, both the State Senate and Assembly included increased funding in their respective one (1) House Bills. Our neighbors with disabilities face a number of issues including a lack of services, inaccessible buildings and streets, and of course; the lack of accessible, truly affordable housing. Mount Vernon United Tenants has proudly joined Westchester Disabled On The Move in supporting and aiding The Mount Vernon Disability Advisory Board Committee. The Committee is a dedicated group of Mount Vernon residents with disabilities working towards the creation of an official city Disability Advisory Board. Such a board would advise the city on innovative ways to address these issues from the perspective of those who directly experience them. To learn more about the group‘s vision and how to support them please contact member Ansel Lurio at aw12011 [at] gmail.com or (646) 522–1115. MVUT will be participating in a statewide conference call under the rubric #BanIncomeBiasNY on Thursday March 19. We‘ll have further news in the next mailing (out late next week). This coming Sunday March 24 WESPAC (www.WESPAC.org) and a number of other organizations are holding their annual Westchester Social Justice Forum at 12:30 pm in the Music Building at SUNY Purchase. MVUT will be participating. In addition to exciting workshops, Amy Goodman of WBAI radio (99.5 FM) will be the featured speaker. Amy, in the view of many, is the premier journalist in America. She will be highly engaging, informative and challenging. County Legislator, Damon Maher is sponsoring two (2) Housing Seminars at the New Rochelle Public Library, primarily dealing with “Fair and Affordable Housing” issues. The first one was held during daytime hours on March 13. The second one is scheduled for Tuesday March 26 at 6:00 pm. “State of County” Address The annual address by the County Executive detailing what has been going on for the last year and what we should be looking at into the upcoming year, will be held on Thursday April 11 at 7:00 pm in the Legislative Chambers on the 8th Floor of the County Office Building at 148 Martine Avenue (corner of Court Street) in White Plains. The relatively new County Executive George Latimer is a long–time friend of MVUT. He came to this past year‘s “Holiday Gathering” and while a legislator, came to numerous MVUT office meetings. He is a former tenant leader in Mount Vernon, and professionally ran the Mt. Vernon Section 8 Program years ago! In addition to all of this issue work, still by far the major amount of time and energy of MVUT is spent on case management of tenants “at risk” of eviction. We‘ll have a report on the numbers of evictions prevented, and families or individuals rehoused in the next couple of mailings. Stay tuned. Please help us financially as we are in bad shape!! Many have answered the call. Most have not. Please do so today. 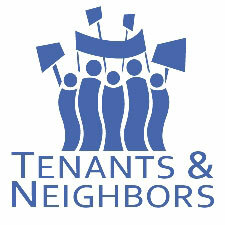 *We‘re enclosing an article, Capital Improvements are A Nightmare For Tenants by tenant activist Anita Long which highlights a way that landlords further victimize rent regulated tenants!